It is important to emphasise to the user that this site was created as a pilot project on a limited timescale and finances. The academic worked on it over a four month period (April-July 2007) with the team working to complete by January 2008. It was concerned with exploring different ways of dealing with texts and materials rather than with fully systemised coverage across all the manuscripts involved (although it is fully extendable). 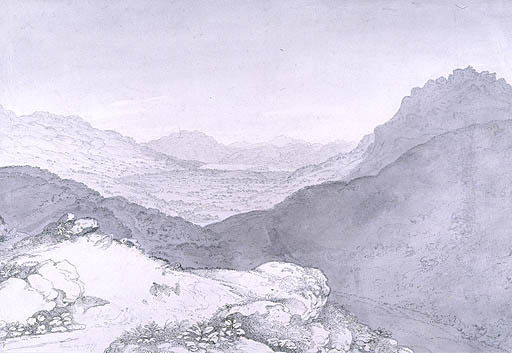 The primary aim of the pilot was to explore the "difficulties and dangers" of a large-scale project to place Wordsworth's manuscripts online in a digital form. The project therefore establishes a dynamic website with images and text all generated by an underlying database using MODESxml. Richard Light as digital consultant for the project has proved invaluable. He has set it up in such a way as to be capable of extension, both for this site and to the larger manuscript collection. The collaborative context of the pilot project (between Lancaster University and The Wordsworth Trust) also determined presentation of material in terms of accessibility. As well as creating a site of the highest scholarly standard the pilot aims to give access to manuscript materials to those without pre-existing specialist knowledge and to children as well as adults. The project focuses upon two texts: Home at Grasmere and the earliest Prelude manuscript: MS JJ. These texts were chosen for a number of reasons. 1. Both are significant early Wordsworthian texts directly connected to a particular place. This was important in the light of our funding source: the AHRC "Landscape and Environment" Programme. 2. Both texts are connected with each other and relate to a key period of Wordsworth's life, from December, 1798 when he was in Goslar writing the early Prelude draft, to December, 1799 when he had settled at Grasmere. This allows us to explore the context of writing and to incorporate related GIS representation on the site. 3. Home at Grasmere survives in a limited number of manuscripts (four) across a range of different materials and stages of process. It allows for a controlled exploration of many of the issues which would come up on a larger scale project. 4. The early Prelude draft contains some of the most famous and accessible scenes from Wordsworth's early childhood. It is thus attractive and accessible, particularly to children, in a way that Home at Grasmere is not. Since we wished to build an educational element into the site this was important for us.